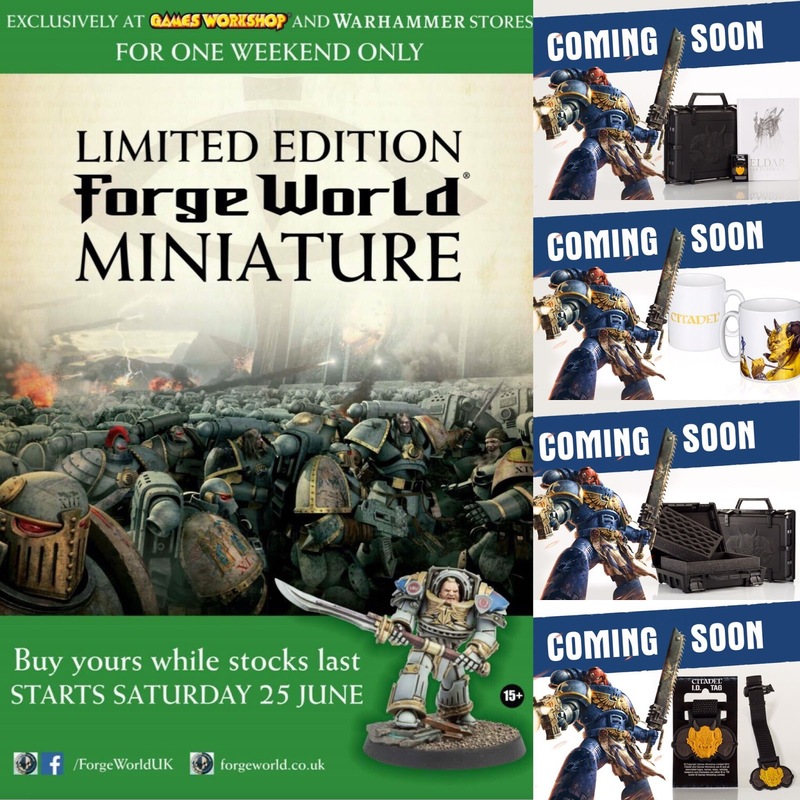 This will be a new section on the website which will showcase a miniature painted by a fellow warmer and hobbyist in the community. The showcase will give you some photos of the mini, plus a small interview with its creator about techniques they used, their life in the hobby and anything they want to promote themselves. I am hoping to get something done weekly and start to build up a catalogue of painters and hobbyists in one handy section. 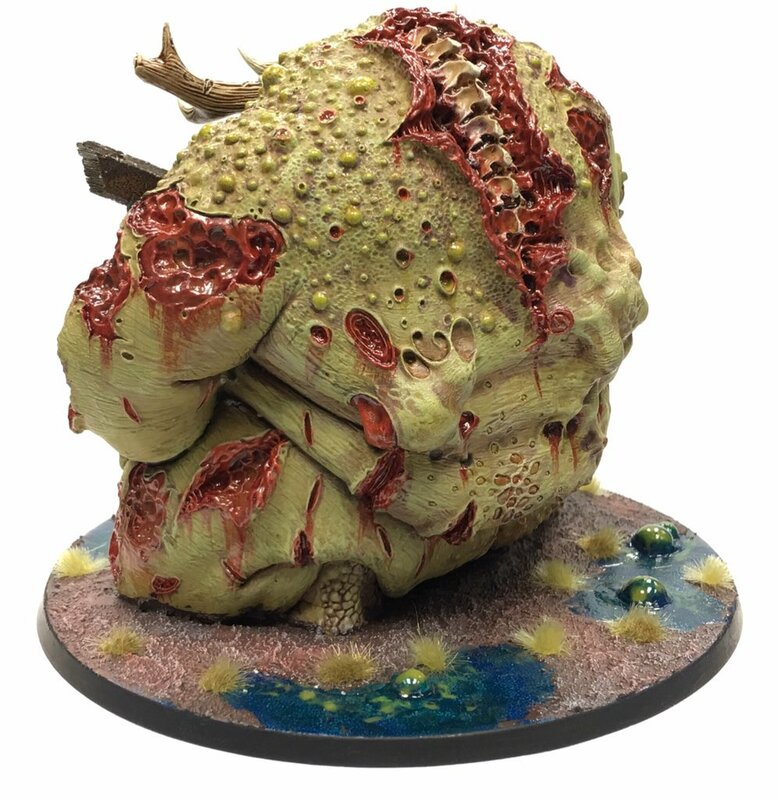 The miniature in question is a Forge World Great Unclean One, a miniature that requires a massive amount of skill and dedication to paint. 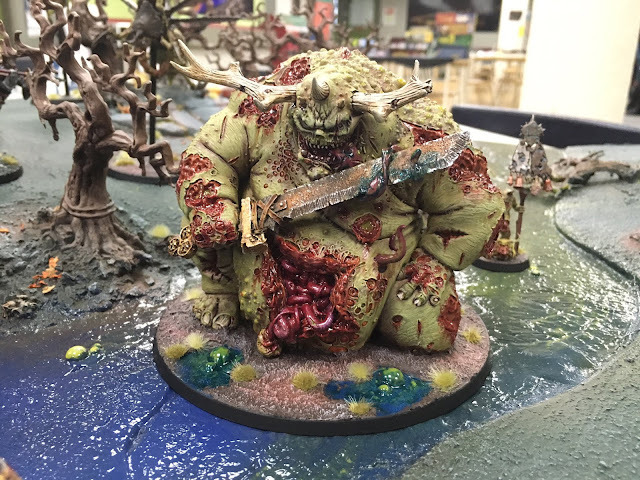 What I love most about this paint job is the pale green skin, the tones are fantastic and contrast so well with the red gore. I also absolute love the rusted effects on the Sword, perfect for Nurgle. I managed to track him down for 5 minutes to ask him a few questions, here is the small interview. Sean: Tim, How are you? Sean: What made you want to paint this model? Sean: The colour tones are absolutely fantastic, what is your recipe for the Skin, Gore and Rust effects? Tim: like to experiment with colours and paints a lot, and I'm also a big fan of drybrushing and shades. The scheme was quite simple starting with a Zandri Dust base colour using the the citadel spray. I then drybrushed the flesh Nurgling Green and Eldar Flesh before giving it a thinned wash of Athonian Camoshade (50:50 with Lahmian Medium), and then the same again in the recesses and exposed flesh with thinned Druchii Violet. 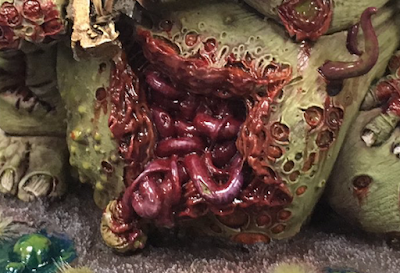 The rotting areas and muscles were painted using the gemstone paints, Blood for the Blood God, Nurgles Rot and the new gloss shades, just adding layers where I saw fit to create variations of colour. The rust was very much the method we have on the WarhammerTV YouTube channel, painted it silver, coated with Typhus Corrosion and then drybrushed/stippled with Ryza Rust and finally sponged silver. Sean: You are a huge part of the community up in Hull, what is the Age of Sigmar scene like up there? 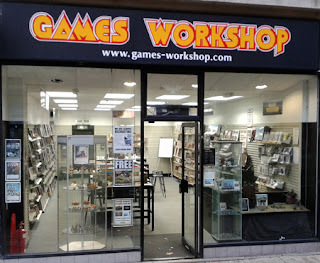 Tim: The AoS community is very popular in my store with most, if not all, of our gaming group playing it. Because I run the store and I'm stupidly excited about AoS it's very easy for people to also get excited about it! Tim: I'm really looking forward to the summer campaign, I love running events and campaigns so being able to partake in a global campaign is phenomenal! 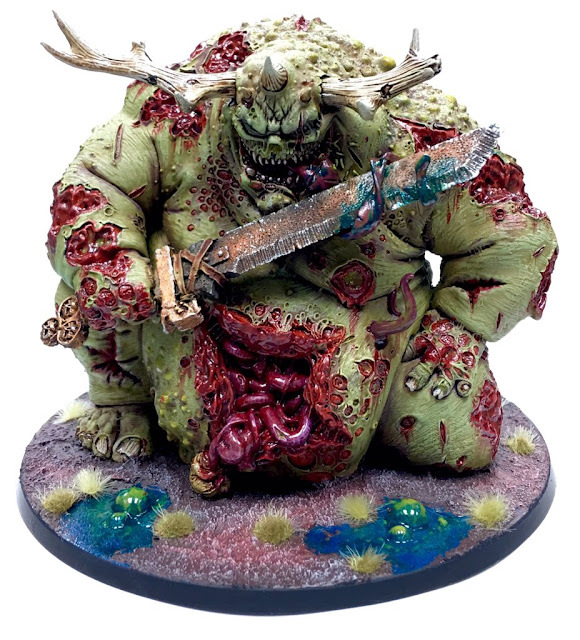 My mortal half of the Nurgle army will be conquerors! Tim: Us managers are just normal hobbyists like everyone else, we don't know secrets like the Internet thinks we do. I prefer it that way as it means I can get excited about new releases the same time as everyone else! The things we do get told allows us to plan ahead to make the releases more fun for everyone and having fun is a major part of our job! 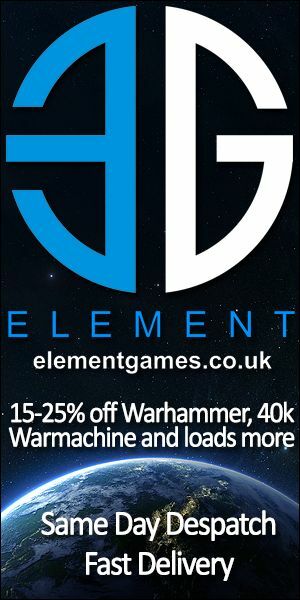 Tim: The only thing I would like to add is a phrase we use a lot at GW; "Our Worlds, Your Hobby". 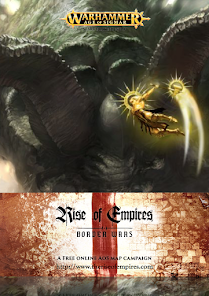 GW create the amazing worlds and backgrounds for us to Immerse in, how we do that as hobbyists is up to us. The hobby is enjoyed by everyone in many different ways, there is no wrong way to enjoy the hobby as long as you're having fun doing it! So go have fun doing what you want to do! Sean: Thank you so much for your time and keep up the great work dude! I also want to mention as Tim didn't, Hull GW store are celebrating an anniversary on the Saturday 25th June 2016 and it looks to be a massive AoS fest with games, discounts and limited time models. If you are around the Hull area then pop down and say Hi to Tim and also see this fantastic model up close and personal, ask him more questions about it. I aspire to one day have the skill and courage to tackle the Great Unclean One. 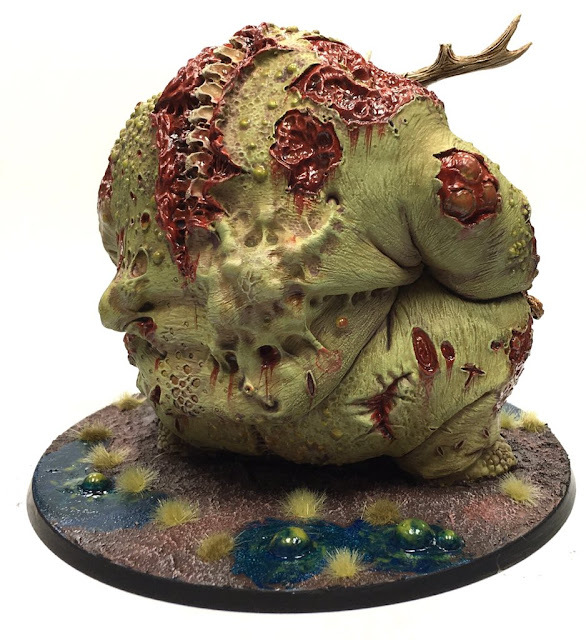 It is such an epic model, with so much going on that it would make a great centrepiece to not only my own growing Nurgle force, but to any collection of models. Tim described the painting process in a manner that made it seem like a very simple task, but I fear it is anything but! His work is amazing, the colours are as about perfect as one could imagine. He's done a great job. Love the post too, I love reading showcase posts. Maybe one day you will find something at my blog worth showcasing? Might be a while yet though. Glad you like the post, I think the techniques used in there self, just need practise. I think the key to a good thin coverage of base coats and washes is as Tim says, thin them down with a glaze medium. I use Lahmian Medium a lot! Even for base coats and washes, then just apply thinly multiple times until you get the result you are after. Longer but will give you better results. Just checked out your blog. Are you ok for me to link from my blog? The Lahamian thinning tip is always good, but I am always left thing (when it's suggested by anyone associated with GW) why is the paint not already thinned down? Anyway, thats a discussion for another time. A link would be great, thanks! HobbyHammer is in my blogroll "Blogs of Note". I think any range of paints need thinning, I even thin Vallejo, P3 and Scale75, and like Tim says too, even thinning down washes too. GW paints are thick, but all this means is the pigment and coverage is great, even when they are thinned. GW paints give a smooth finish. I have started converting the majority of my GW paints to their Air range as they are pre thinned (I still thin these a little), I use the Air range for both airbrush and for paint brush. Having never used any paint other than GW I wouldn't know about how thick or thin they are, but I like your point about GW coverage and smooth finish. I'd never have thought to paint with the Air range with a brush. 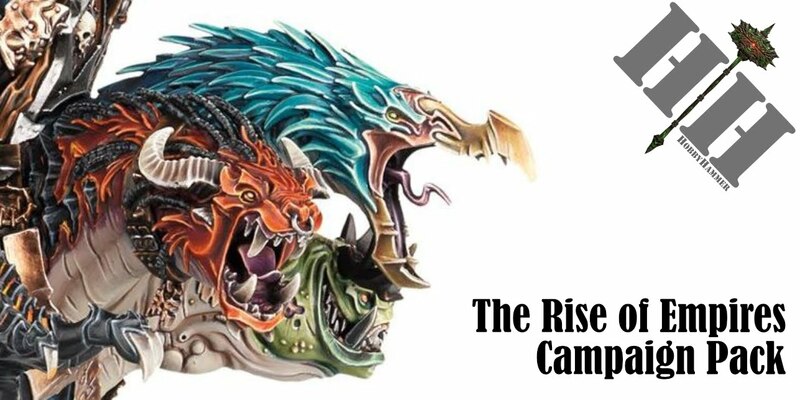 I haven't bought any since I don't have an Airbrush (yet) but might pick up a couple colours now that you have mentioned it just to see what they are like. Thanks for that.